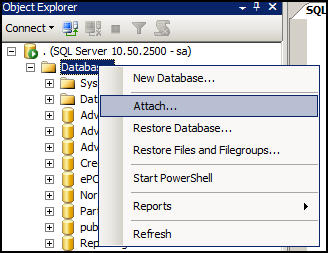 Earlier on my blog I posted about how you can attach a database using T-SQL when no log file is available. You can catch that here. In this post we will see how it can be attached using GUI. 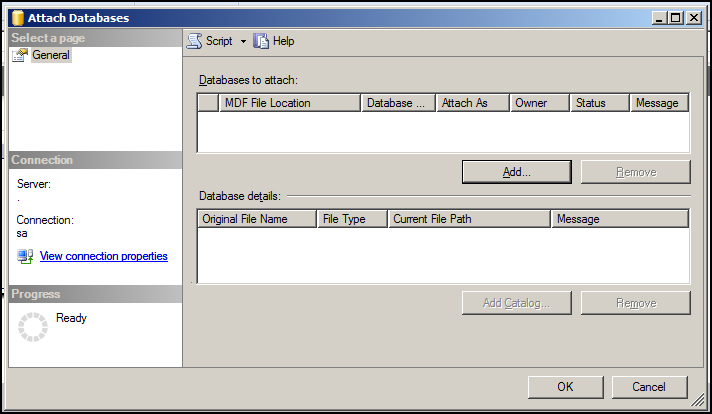 You can also do this using T-SQL, read Attach a single MDF file – Database for details. 6. 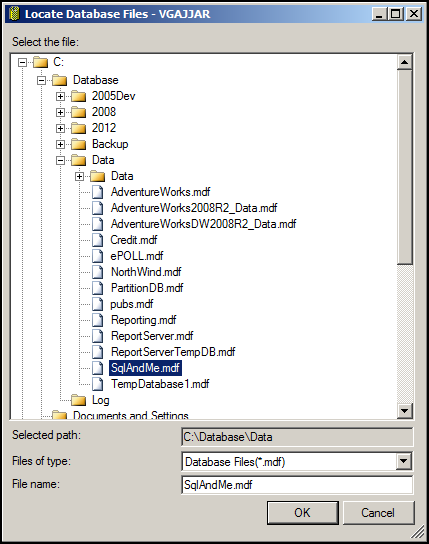 Run DBCC CHECKDB with REPAIR_ALLOW_DATA_LOSS. It will rebuild the log and run full repair.